‘Paperless’ has been a buzz word in business since the 1980’s and yet for many SME’s in the UK it still is just a word. The vision of a paperless working environment is tempting but is it practical and how do you achieve it? Firstly, to be truly paperless you have stop all paper documents coming into your workplace. Is this possible? Only when everyone else you deal with is also paperless. This would have to include all legal and government documents, and this is some years away. However – how you treat that incoming paper is within the control of every business. Get the treatment right and you will be on your way to ‘paperless’. Firstly – consider the use of Office 365 – which most businesses already subscribe to and those that don’t soon will do. With Enterprise licensing you get SharePoint which provides you with a generous online storage space to replace if not all – then most of your physical storage. Secondly – you need to find yourself an Office 365 partner who can give you the advice and guidance you need to decide the very best way to set up your SharePoint library based on the type of documents you will store, what you store them for and who will need to access them. The design of your SharePoint library is important and will mean that not only will you not have store reams of paper but will be able to reference the content of your stored documents so that you can find them quickly and according to topic and sub topic. Once you have decided on your SharePoint library you can convert a proportion of your hard document storage to digital. To do this – you will need to invest in an automatic scanner. If your scanner supports OCR it will be able to translate text from your digital scan into meaningful words which will enable you to search for it. Once the initial exercise of document conversion from physical to digital has been completed then it must become the current process to ‘file’ your incoming paper documents digitally. This will require all businesses to scope and decide their internal processes and train staff so that they accept and understand them. Aside from SharePoint businesses want to reduce the amount of paper that floats around their factory floors. Let’s not forget the obvious housekeeping all businesses can put into place to reduce the volume of paper. 3. Provide staff with two monitors so that documents can be clearly viewed alongside data processing screen rather than using a printed copy of a document you need to refer to as part of a larger task. 4. 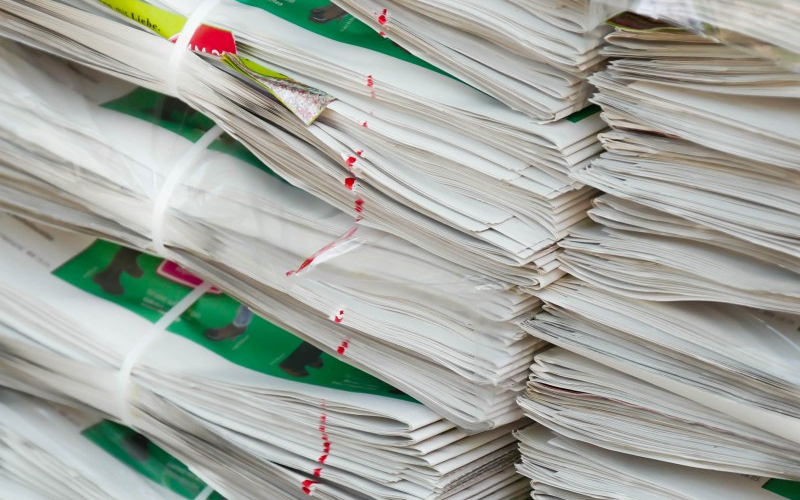 Enforce paper recycling! Make it policy that reverse side paper pads are used instead of purchasing pads for the stationery cupboard. Invest in some bull dog clips so that it is easy and efficient for staff to make their own recycled pads. Looking at a project in its entirety can be daunting. Understanding what you can achieve realistically encourages a project to be started. Once a project is started it can be completed. Use the tools you have and invest wisely in the ones you don’t.